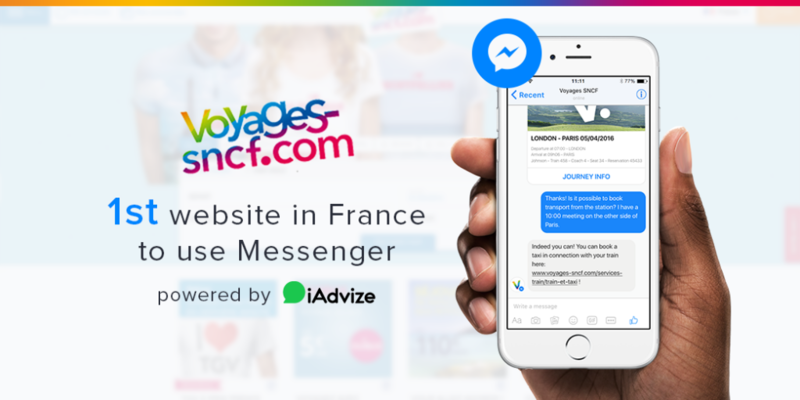 This week, Voyages-sncf.com have announced an integration of Facebook Messenger into their customer service, using iAdvize as their technology platform. Since 2012 social customer service technology platform, iAdvize, has been helping Voyages-sncf.com, the leading online travel brand in France, to manage their real-time online customer interactions. 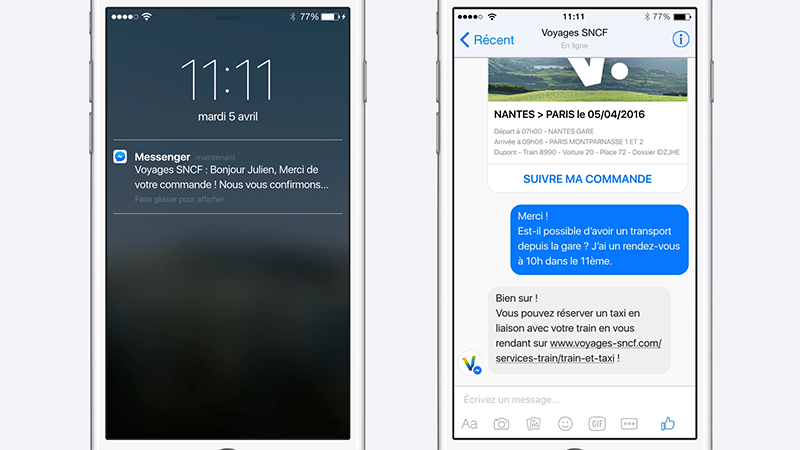 Every year, the customer service team of Voyages-sncf.com handles approximately 120,000 contacts on their website via chat and video chat and provides, on average, a first response within 15 seconds. They also handle more than 100,000 questions from Facebook and Twitter. On these social networks, the brand is committed to answering requests within two hours. The integration with Messenger could have a dramatic impact on how future contacts are handled. From now on, when customers purchase a journey online, Voyages-sncf.com will give them the option of tracking their order directly from Messenger. Messenger users will receive a notification and find all the information about their journey in the Messenger app, including schedules, coach number, seat number and e-ticket. They can also contact Voyages-sncf.com customer service by asking questions directly from the Messenger conversation on their phone. This way, they have all their journey info in one place and their interaction with Voyages-sncf.com is as quick and easy as it can be. For example, visitors can ask how to renew their 12/25 railcard via Messenger. An agent can send them a link enabling them to update their railcard and can then help them throughout the process. In addition to being a customer care channel, Messenger also enables brands to create engagement and generate additional sales. 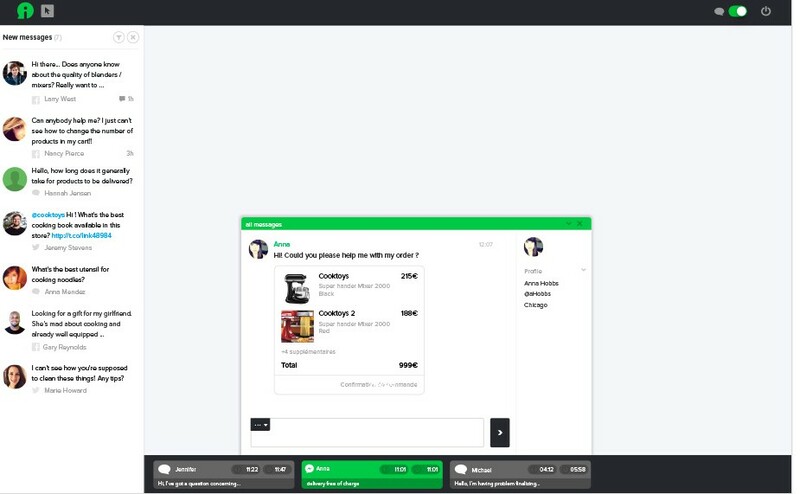 From a customer service perspective, all real-time contacts are centralized within the same platform: agents receive messages from Messenger directly within the iAdvize dashboard, in the same as they receive questions coming from the website chat, web callback or video chat. Agents benefit from a conversational display and can provide the same quality and speed of service as they do via other touch points. We want to make things as easy as possible for our customers by enabling them to use the channels they already do on a daily basis. We want to adapt to what they are used to, not the other way round. Making it possible for them to receive their journey information and updates directly within Messenger via the platform of our partner, iAdvize, is part of creating a more simple, smooth and integrated customer experience. within the next few weeks, we will be extending the scope of Messenger on Voyages-sncf.com, on the websites of other brands that have been bêta testing Messenger and we will be making the channel available to all our customers. Simon Robic, Social Product Manager at iAdvise will be explaining more about their integration of Facebook Messenger in his afternoon session at the Summit. Tickets are still available on the website.